There is no doubt that a split is going through the conservative movement these days. The ascendance of Donald Trump has shaken not only one of the two major parties of the American political system but also conservatism itself to the core. Many highly interesting and important discussions have come out of it (which libertarians have often neglected or misunderstood). But one of the more discomforting developments in these discussions has been a newfound love for government interventionism. It all started with the protectionism to “Make America Great Again.” Since then, however, some conservatives have moved much further than that. 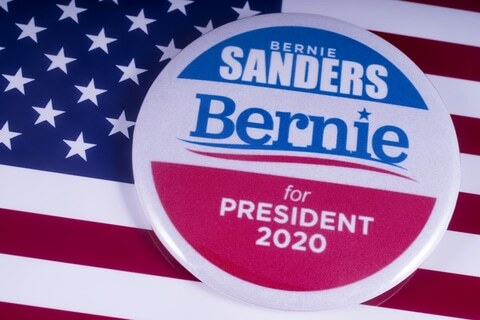 Bernie Sanders, who recently announced his 2020 candidacy, is a quasi-Marxist, a USSR sympathizer, a washed-up has-been relic of the radical Sixties. At least that’s the standard reading of Sanders from the right. … But conservatives could look closer. According to Del Mastro, Sanders is actually “a proud conservative,” someone “we might even benefit” from having as President come 2020. “Why?” you might wonder. Well, “Sanders’ instincts tend towards simple over technocratic.” Moreover, his speeches are littered with references to the “working class” and how they have been on the losing end for too long. Further, “by asking everybody to pay in and making everyone eligible to receive, Bernie Sanders affirms a deeply conservative principle: the idea that as citizens, we should all have skin in the game, that we are all part of a national community.” What about the socialism part of Sander’s philosophy? “There’s a long history of ‘all-American,’ and even conservative, socialism,” anyway. Del Mastro’s article may be an extreme example, but his fundamental ideas of what it means to be conservative are increasingly shared by others. This new embrace of state conservatism is quite disheartening. After all, conservatism is the political thought that counts among its most prominent representatives’ true fighters for individual liberty and against unnecessary government interference. Take Alexis de Tocqueville, Lord Acton, and Edmund Burke—the founder of modern conservatism, who Friedrich Hayek called “the man who to me seems to be one of the greatest representatives of true individualism”—as prime examples. And while men like G.K. Chesterton, C.S. Lewis, or Robert Nisbet perhaps were equally troubled by completely unconstrained markets, the last thing they called for was a big, intrusive government ruling over all citizens. Even the most anti-capitalist traditionalists (take Hillaire Belloc) have generally hated socialism as much. Indeed, conservatives have perhaps been making the best cases against centralized power for centuries. “Power tends to corrupt and absolute power corrupts absolutely,” Lord Acton famously said. Since humans are fallen, in the conservatives’ view, they will sooner or later use their power against others. This is why most conservatives are so opposed to bigness of any kind—you cannot trust a single person with the possibility of influencing the lives of the many, especially the statesman who does not have any checks against the policies he wants to implement. And yes, we are all part of not only a national community but also local communities, and as part of that, we should care for our fellow human beings. What better way is there for a communal feeling than people being able to freely and voluntarily interact, spend time, and, yes, trade with one another? This was precisely the moral case made for free trade made by the likes of Edmund Burke. Del Mastro may think Donald Trump is correct in saying that “the pro-globalization crowd are the real radicals”—those “Reagan-Thatcher disciples of ‘dynamism’”—and that while Bernie Sanders’s campaign may call for completion of the socialist revolution, Sanders is still “no revolutionary.” Socialism, however, would certainly be a revolutionary path for the US—and one it should not take. If conservatives like Del Mastro want to see communities revitalized, the working class strengthened, and cronyism in Washington and at the political level in general reduced, they should not embrace socialist kooks whose policies would merely lead to more societal strife, polarization, and poverty. Embracing freedom, organic community-building, and a government that finally gets out of the lives of the people and stops creating the very social problems conservatives find so abhorring is a better idea.